Few people remember that, Disney's MGM Studios used to play host to WCW. WCW was an arch-competitor to WWF back in the 90s. Live and taped events would occur at the Studios. Monday Nitro, a live show, would broadcast at the entrance to the park. Many key moments in wrestling history took place right where bags are now checked daily. 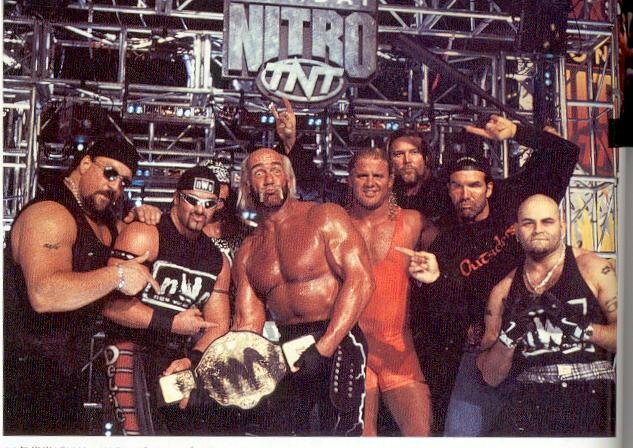 Highlights include the development of the NWO, which is pictured above. You can even see some of the matches on the the Very Best of Monday Nitro DVD recently put out by the WWE. As a huge wrestling and Disney mark, it was ambrosia. It wasn't all big moments and great wrestling. The Studios also hosted tapings of WCW's third and fourth run shows including WCW Worldwide and Saturday Night. 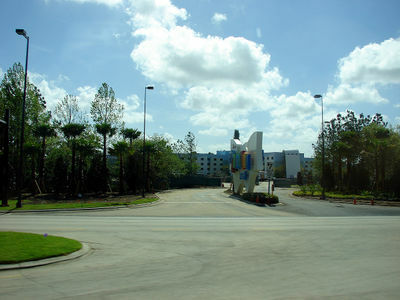 These tapings occured over where Toy Story Midway Mania now sits. SPOILER ALERT: Wrestling is fake. These tapings would actually occur weeks/months before scheduled PPVs and there would be massive spoilers at these. One show featured a wrestler by the name of Sid Vicious* sporting the Big Gold Belt weeks before he was to win it. The kicker was that they ended up not giving it to him. For reasons like that, it was a very touristy crowd. I had the pleasure of getting in once. The highlight of the show was Beautiful Bobby Eaton defeating a no name in about five minutes. A bigger highlight was watching Hulk Hogan walk around with Kevin Nash (tall guy above) and Scott Hall (guy with the Don Johnson-esque facial hair). This was only weeks before the Hulkster became a bad guy. 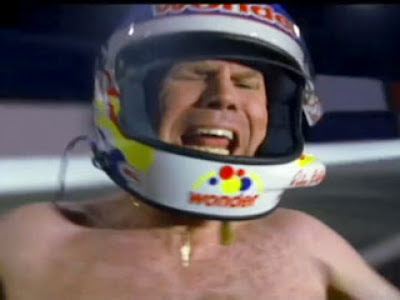 I practically crapped myself. I only calmed down when I was able to purchase a Macho Man bandana and neon green Sting tee. *Sid was called Sid Justice and Sycho Sid in the WWF. He was certifiably insane. He once stabbed another wrestler with a pair of scissors. He also quit wrestling.....to focus on his softball team. If you want to be grossed out on a Friday, google "sid breaking leg." You're welcome. A recent blog by Erin Foster over at TouringPlans.com discusses a few helpful tips on tipping in the World and travel in general. I like the article because she freely identifies her own biases and doesn't superimpose them over actual standard practices. She also does a nice job pointing out that a buffet isn't really a proper place to stiff a hardworking waiter. I heartily recommend the article. “You’ll be eating at McDonald’s tonight,” a friend said. When I arrived at 8:30, the gentleman in charge said, “We can seat you in an hour.” I told him my name, took a few steps back, waited for him to step away, then approached and slipped him a $50 bill. “This is a very important night for me,” I whispered, and waited for the rebuff. To my surprise, the man seemed positively giddy. 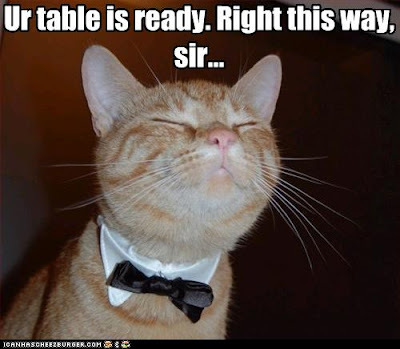 “No problem, sir,” he said, clenching the bill with boyish abandon. “I’ll check right now.” Ten minutes later we were shown to a corner table in the back. The deed had been done with such effortlessness, such quotidian blaséness, that my friend was nonplussed.“It feels so normal,” she said. By this point, with the quick addition of Daniel, where $50 got me bumped up from the lounge to the dining room in 30 seconds, I had demystified the act. I had learned a new skill. I had gained ten pounds. And I seemed to be breeding followers: One friend called for advice on how to “tip” her super; another friend announced she had slipped a twenty to a clerk at the Charlotte airport. Also, people were bribing me to take them out to dinner. Long story short: Feiler was able to tip his way into anywhere. I'm a big fan of tipping good service and a bigger fan of over-tipping great service. In September 2011, the clerk at hotel reception refused a tip for taking the time to show me to my room and make sure that it fit our needs. Since she did that, I asked for her supervisor and lavished praise on her. Both were very pleased and I hope that her file was noted. I'll leave with this thought: do you think you could tip your way into Disney's top restaurants? *The article is really old. It's from 2000. I found it through InstaPaper's editors' suggestions. InstaPaper is a nifty little uitility/app that can be used on any device. Basically, you install a button on your bookmarks toolbar that creates a little "Read Later" button in your browser. If you find an article that you like, you can just click the button and it keeps a queue for you. Super easy to use and very helpful. This week the boys discuss the Richard Petty Driving Experience, Danica Patrick, welded doors, skinny jeans, and Habit Heros. We continue our top ten countdown of the best of Disney's Yacht Club. Read Part 1 here. Most of Disney's deluxe resorts have a long meandering "driveway" that leads to the valet at the front of the resort after you have checked in at the guard station. The main entrance kind of sneaks up on you. 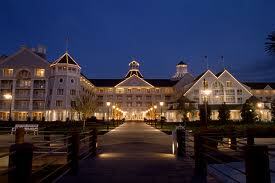 However, the Yacht Club's entrance is a straight shot across a bridge to the amazing entry way (pictured on the left). When you pull in to the resort from Epcot Resorts Blvd, you instantly get that "I'm home" feeling. The perfectly manicured grounds make the walk from self parking to the main entrance a pleasure. And what can I say, I am a sucker for fountains. The fountains flanking both sides of the bridge really add a touch of class to your walk from self parking to the entrance in 95 degree heat. Once you arrive at the main entrance you are greeted by some of the friendliest cast members I have encountered in the World. As a side note, the cast members should get a ton of credit for keeping their composure in those uniforms in the middle of the summer. The Yacht Club uniforms are NOT Florida friendly. I know those of you from the South may get used to the heat, but those uniforms don't look like they breath too much in any weather, let alone Florida in August. 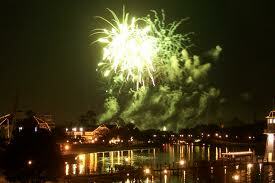 Get the right room and you can see clear across Crescent Lake and see the fireworks from Illuminations. While nothing can replicate catching the show from a prime location inside Epcot, there is something to be said for a private viewing from your hotel room. This would be rated even higher if it was unique to the Yacht Club, but you can make the same argument for all Epcot Area Resorts. Here are three reasons that the location is so great. a You don't need the rental car for two of the four parks. You can easily walk to Epcot and you can walk (albeit a much longer one) to Disney's Hollywood Studios. If you don't feel much like walking, there is boat service to both parks. Note: For those headed to Epcot for park opening, you enter at the World Showcase (far from the headliner attractions). So plan accordingly. b. With the closing of Pleasure Island several years ago, Disney's Boardwalk remains one of the few nighttime "hot spots" on property. Staying at the Yacht Club gives you access to the all of the clubs, restaurants and street performers. Some of the Boardwalk will stay open as late as 2 AM. c. Many of the World's best restaurants are withing walking distance. Not only do you have access to the Boardwalk, but getting to restaurants in the World Showcase and the Swan and Dolphin, both of which have some good restaurants that are NOT on the Disney Dining Plan. The choices for both food and drink are abundant, and if you have listened to the MMOM podcast, you will know just how critical having an ample supply of food and drink immediately available is to all three of us. We give the Yacht Club a lot of publicity on MMOM, but it's time to really give it the hard sell. Here is Part 1 of the top 10 countdown of why the Yacht Club is one of my favorites. Yes, of course Stormalong Bay is one of the great assets of Yacht Club, but tucked away off the long hallway leading away from the hotel lobby is a small quiet pool that provides a break from the chaos that is the main pool area at the heart of the resort. When you just feel like relaxing and floating without being splashed, or pushed by an artificial water current the quiet pool is an excellent alternative. Swimming in a pool with only your family and a few other hotel guests is truly a hidden gem of the Yacht Club. The quiet pool is small, has ample poolside seating, its own restrooms and a whirlpool. The pool is usually open later than Stormalong Bay, so can be used long after you get back from the nighttime fireworks shows at Epcot or the Magic Kingdom. Note: There is no lifeguard on duty at the Yacht Club quiet pool. 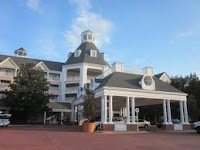 Outside of the back of the Yacht Club lobby is a long covered porch that wraps around the entire length of the resort. Take a seat in one of the rocking chairs and people watch to your heart's content. The transition of the walkway to the Beach Club is seamless, and the wrap around porch gets added bonus points for having the Yacht Club portion end right at MMOM favourite Beaches and Cream. The Crews Cup Lounge is a small bar connected to the Yachtsman Steakhouse serving a variety of mixed drinks, wines, and beers on tap. There are tables and even a few booths where you can order from a limited food menu, or just take a seat at the bar and chat up one of the friendly and knowledable bartenders. 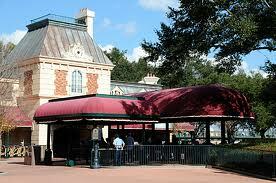 Most of the food items come from the nearby Captain's Grille. 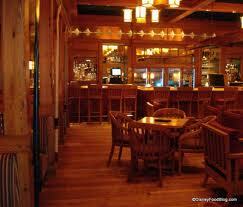 The dark woods and decor make the Crews Cup Lounge classy but comfortable. Crews Cup Lounge is the perfect place to grab a drink before a great dinner next door, to grab a night cap, or even relax and catch a sporting even on one of the flat screen. Crowds tend to be light, but can obviously swell when waits at the Yachtsman Steakhouse are long. After Illuminations ends in Epcot, take the opportunity to stroll back to the Yacht Club from the International Gateway between France and England. The resort is usually winding down activities for the night and there is a calm to the resort that allows you to hear the activity across Crescent Lake at Disney's Boardwalk. As you pass Stormalong Bay on your right you approach the long boardwalk to the rear entrance of the Yact Club lobby. The picture pretty much says it all. The resort's theme and desired atmosphere are both executed perfectly for your enjoyment. Quick hitter on the weekend. In our episode discussing value resorts*, we decided that we would withhold judgement on the possibility of using the Art of Animation Resort as our home base for our high adventure weekend. Well according to the Disney's Parks Blog, construction is ahead of schedule, so we may have some input on its viability as an option sooner than we thought. For those of you who will be lucky enough to stay over the next couple of months, drop us an E-mail and let us know your thoughts at show@mightymenofmouse.com. More to come on the Art of Animation opening from Kip next week! * As a special treat in this episode I have a meltdown when Victoria and Albert's loses to Whispering Canyon in our Restaurant Challenge Series. This week the boys go over a trip report from Steve-o. Topics coverred include the underrated-ness of Disney's Animal Kingdom, the overratted-ness of Disney's Hollywood Studios, the Spirit of Aloha Dinner, and much more. While big crowds in early April are to be expected, just how busy will it actually be in the World? The folks at www.touringplans.com are anticipating crowds of 9 or 10 through April 12th. To give you some perspective, a level 10 at Disney Hollywood Studios typically means a 97-111 minute wait on Toy Story Midway Mania's stand-by line (yikes), and up to an 86 minute wait for a level 10 crowd in the Magic Kingdom at Space Mountain. Throughout the first week of April, and likely beyond, the Animal Kingdom will be open on some nights until 9 PM NOT including extra magic hours. I have yet to see 9 PM closings for Animal Kingdom without the use of a three hour evening extra magic hour block. With the general thought that Animal Kingdom is a half day park, Disney is clearly trying to spread out the crowds to their least attended park to avoid the nightmares at DHS and MK (nightmare in my mind would be a 100 minute wait at Toy Story). Not to be outdone, the Magic Kingdom will be open most nights until 1 AM, and as late as 3 AM including extra magic hours on April 11th. 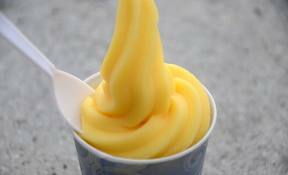 The MMOM crew did not receive their substantial proportions by enjoying many "low fat, vegetarian, non dairy" frozen treats at Disney World, but a notable exception is certainly the Dole Whip (pictured above). For me, the Dole Whip is a must do for any trip to Magic Kingdom. They are sold in Adventure Land at the Aloha Isle stand and at Captain's Cook (quick service eatery) at the Polynesian. I am sure I can get it at home or elsewhere outside the World if I tried, but there is something very special about enjoying this frozen pineapple soft serve treat while crowd watching in the Magic Kingdom. 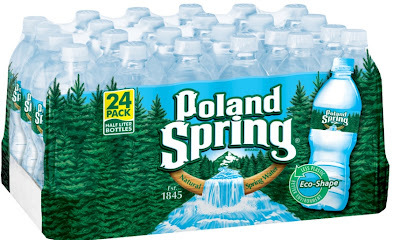 Give it a chance if you have never had it before, you will be pleasantly surprised. For those already under the Dole Whip spell, The you can purchase your very own Dole Whip T-shirt at Walt Disney Parks. Details on where and when will likely follow, but I am going to scout them out next time I am in the World. Ok, I know it's Disneyland and not Disney World, but it's definitely worth mentioning. 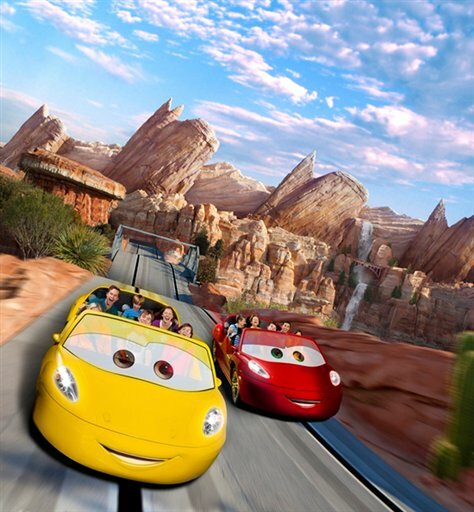 It has been announced that Cars Land, a new section of Disney California Adventure based on the movies, is scheduled to open on June 15. When I was in Southern California last June, I got to see some of the conceptual drawings, and to take a peek at the construction. I have to say, it looks really well done. Pixar is reknowned for their attention to detail in their films. From what I've seen, it looks like Car Land will carry much of that over. Giant slot car racing is the hallmark of any good theme park. My regret is that I am a year too late to see it in southern California; I can only hope Disney eventually brings the concept to Orlando. Of course, with the truckloads of money that the Cars franchise has brought in, one can expect it's only a matter of time. The Springfields with McQueen and Mater at the future site of Cars Land. Implicit in my analysis is the idea that you go to the World for the theme parks. 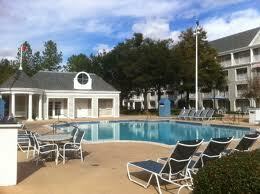 Sure, there is great dining, pools, golfing, shopping, and so much else in the Disney World resort. But all of those things can be bought much more cheaply at other vacation destinations. The point is, I approached those other expenses (hotel, flight, rental car, etc.) as sunk costs that you're paying for no matter where you vacation. Park tickets are the unique aspect of a trip to Disney World. 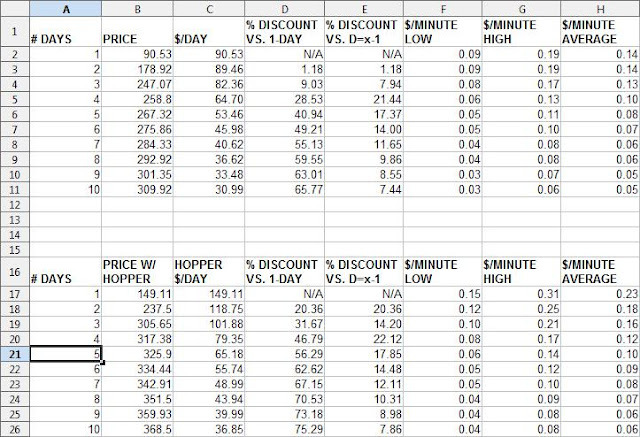 You'll see a lot of what you already know: the per-day cost of park tickets gets cheaper as you purchase more day, and that the hopper option less costly as you purchase more days. So how is this useful? Well, I thought of this as a way to address two questions that keep coming up on MMOM. 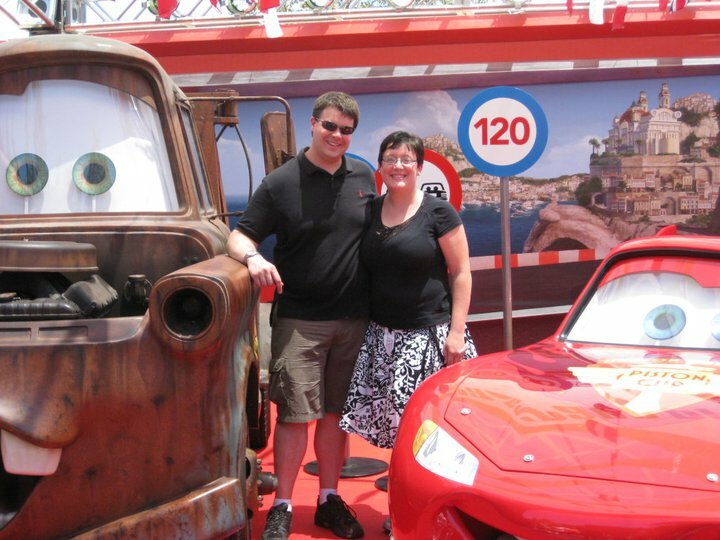 First, there's the decision of whether to use Disney Transportation, or to rent a car. One argument against the buses is that it takes longer to get from your hotel to a given park (not always necessarily true, but for the sake of argument). Let's say that driving from your hotel room at Port Orleans to Animal Kingdom saves 15 minutes. ** At 10 cents per minute with 4 people, that's $6.00 worth of time that you saved by driving. Now let's say you're going to Whispering Canyon Cafe with 4 other people. That's going to be more savings. Second, there's the decision to stay on property or off. There are plenty of perks of staying on property. Like Extra Magic Hours. When you're staying on property, that could mean as much as an extra 4 hours in a park. At 10 cents a minute for 4 people, that's $96! Not too bad, actually. Of course, no model (especially one this simple) is perfect. But this is a simple little starting point to a much larger discussion. 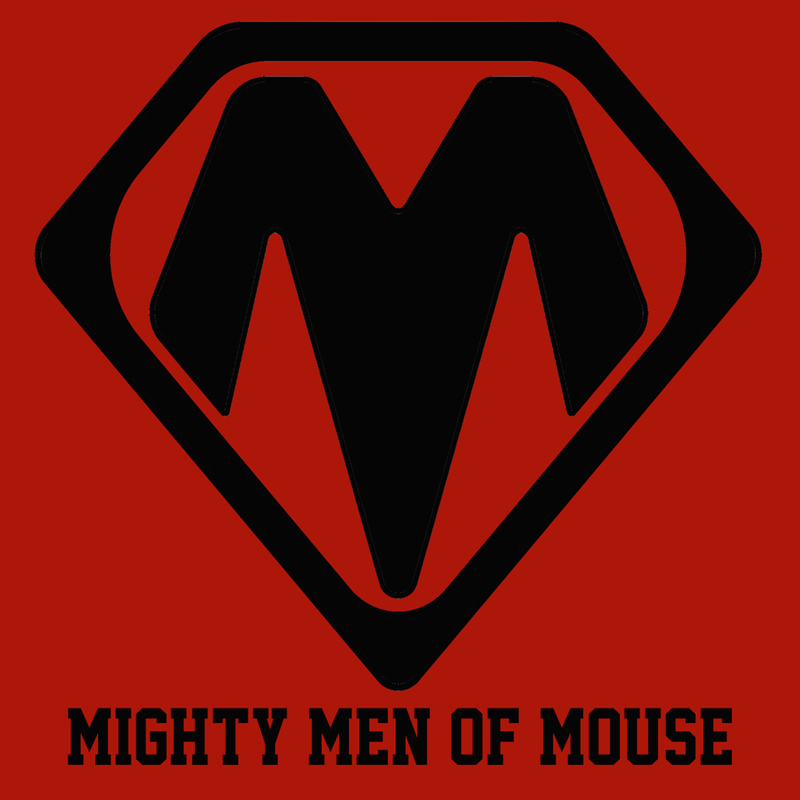 Let us know what you thing by e-mailing us at show@mightymenofmouse.com. 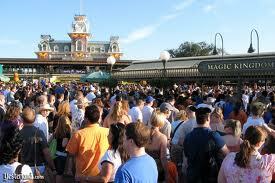 *Of course, busier times also mean longer lines and slow travel within a park. The trick is find a balance between when maximizing available time and minimizing wait. But that's another show. **Not actual numbers. If you want to try this exercise, go buy yourself the Unofficial Guide. Topics this week include Victoria and Alberts and a recent bit of Disney advertising. The boys also take a more thorough look at the United Kingdom pavillion. Over the next couple months, Disney will be rolling out significant enhancements to their cable TV lineups across the entire resort. The channel lineup will now include more than just ABC owned stations and channels, and the 7 Must Dos of Disney on a constant loop (or at least that is what it seemed like). This is actually a welcome change. Don't get more wrong, I am well aware that I am not in Disney to watch TV, but you can not underestimate the time in your hotel room to relax or take a nap. Part of this relaxation could be taking in a little TV, and having more options is never a bad thing. For example, Travel Channel is known for running extended Walt Disney World Commercials...errr Documentaries....from time to time, and HGTV is a primary sponsor of Epcot's Flower and Garden Festival. It only makes sense that these popular cable channels are available in your resort hotel room. We talk a lot at MMOM about the little cuts made over the past several years. To point, I even complained about losing USA Today deliver to my hotel door a few months ago. It is just really nice to see service go in the other direction once in a while. The picture is of Stacy Aswad, "star" of the "Must Do Disney" infomercial you will undoubtedly watch a dozen times on a week long trip to the World. In Episode 41, Kip and I discussed different ways to analyze the money value of time while down at the World. 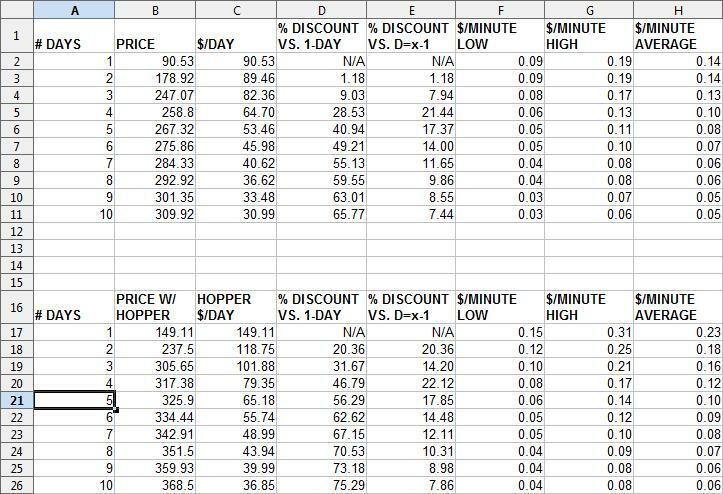 Kip had a very complicated spreadsheet which was based heavily on the cost of park tickets. His system did a neat job of analyzing what moments in the parks cost, especially waiting in lines. My system focused heavily sunk costs. All capital costs would be added up. These include hotel, airfare, and park tickets. Let's look at some real numbers from my September 2011 trip. I use a multiplier of 16 because that it is roughly how many waking hours someone would have down there. I suppose that it would be possible to be even more precise here, but I leave that to the reader/listener. For my trip, the time value per person was $19.05/hr. This begs the following question: In what possible way is this useful? I hope this example helps. I'll be sure to figure out the numbers for my next trip and share some more at that time. *I'm using my wife's AP, which I purchased for the trip. I had purchased one formyself on a previous trip. ***Holy highway robbery! 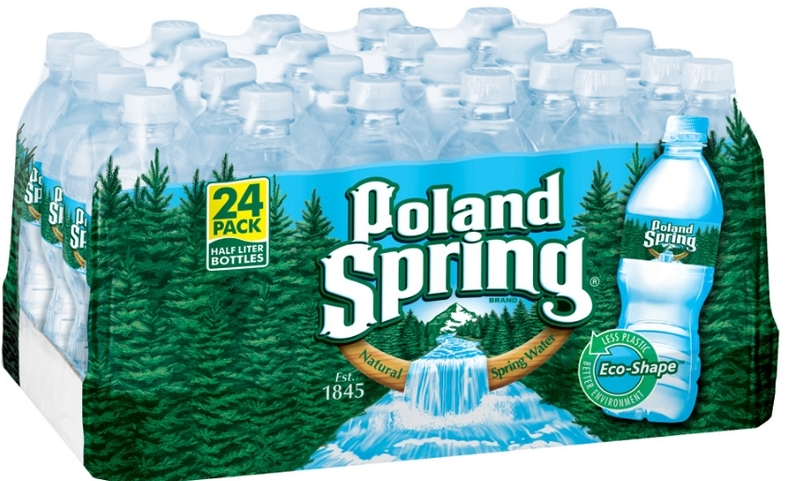 I know there are other options for water (i.e. the Hess station), but I'm just trying to illustrate an example with a practical explanation. For example, it may make more sense to stay on property for a marked up toothbrush rather than run to RiteAid to save a couple of bucks. In an upcoming episode of MMOM we discuss if the newest ad (above) for Disney World is being 100% truthful when it promotes a vacation for a family of four would cost about $1,700 for seven days and six nights. Odds are, your family of four will pay more--much more--than the lowest advertised price. Part of the discussion focused on what costs should have been included in the advertised price. All of us agreed that the "starting at" pricing used throughout the travel industry is so tried-and-true that most people would understand that this is not actually what they were going to pay. Airfare, dining, and additional options like a Park Hopper were not overly deceptive to not include. In our opinion these costs varied from customer to customer that it would not reasonable to call that the minimum available price. The only issue we really had with the advertising is found in the very fine print. If you look closely at the dates where these room rates apply you will see that a typical family of four would really not be able to travel on most of the dates (but for late August) because one or both kids would be in school. At the All Start Music Resort the rates assumed in the ad are $84 per night. If you want to travel any time in June-mid August the rate is $129. Note: It is even higher during most spring/winter breaks, up to $164 per night. This change in dates would add about $270 to the cost of the trip. This is a pretty significant increase and something that Disney probably should have been more up front about. So how do you feel about the newest Disney World ad? comment below or E-mail us at show@mightymenofmouse.com. California Grill attempts to curb stomp Citricos in another Restaurant Challenge Series match up. Kip also shares a new prism to look through when analyzing the money value of time in Walt Disney World. 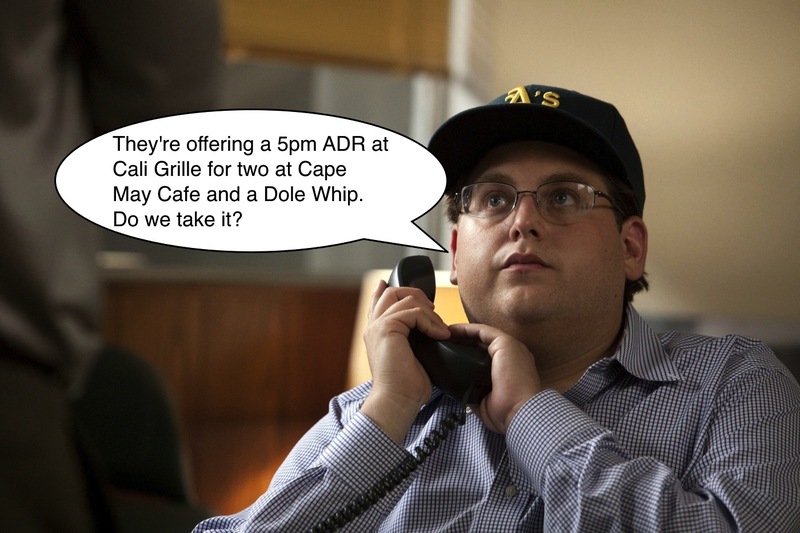 Dutch also has his own Moneyball and WDW scheme. The Big & Tall 3 also talk about their best values and worst values in Walt Disney World. 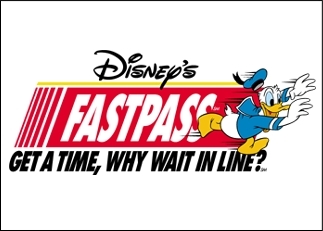 In our last episode, we discussed some of the imminent FastPass changes that are coming to WDW in early March 2012. The changes are highlighted in this post as well. MMOM generally took a "we'll believe it when we see it" approach when it came to actually seeing Disney cast members enforce a rule that was never enforced in the past (i.e. 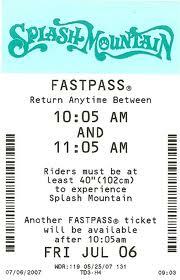 the back end of the fast pass window). Part of our reasoning is that there was no change to the FastPass ticket itself evident in the information Disney released on the changes. So why were we to believe that the system would change in any material way? "Not able to accommodate late arrivals"
So cold, so simple, and obviously new, but will this impact how these new rules are enforced? The beauty of having your own blog is getting to make it your own. This book and this post is not really about Disney, although I will try to swing it around at the end. Boomerang is the latest offering from Michael Lewis. Lewis is best known for authoring the Blind Side and Moneyball. 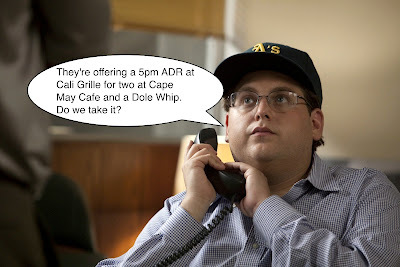 Moneyball is a huge influence on not only myself, but the entire Mighty Men of Mouse Team. We even referenced it all the way back in our first episode. Mr. Lewis is also known for having worked in the financial sector back in the 80s and writing extensively on the topic. His first book was Liar's Poker. Liar's Poker was a narrative of his maturation as a bond salesman with Salomon Brothers and their eventual collapse. After the financial crisis which hit the country in the late Aughts, Lewis wrote the Big Short. That work outlined what went wrong with the financing of home buying and the disaster that ensued. I read the two back-to-back and there is a good synergy between both books. Both lead perfectly into Boomerang. Lewis' latest offering is Boomerang. 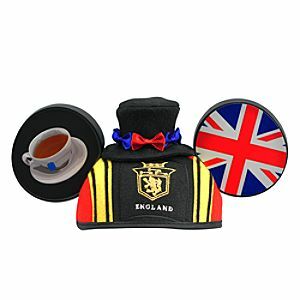 This is one that Russ suggested in our Christmas Wish List episode. 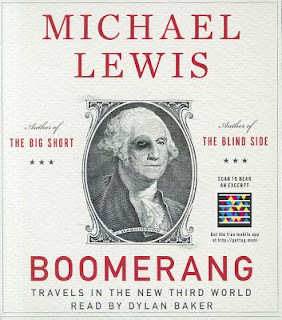 Boomerang is the story of the collapse of various international bubbles. His prose is masterful and manages to make a financial tome read more like a travelogue. Having read his chapters on Iceland and Greece, I feel that I have a sense of why they ended up in a mess. More importantly, I feel like I've been there. I was disappointed that Ireland didn't get the same treatment. That's more likely because it's the only country he covers that I've been to. My favorite moment, however, is in that Irish chapter. While discussing the Irish desire to build, he describes it as the Irish's collective desire to live beyond what they can actually afford. Unfortunately, this is what eventually fell/is falling upon the Celtic Tiger. There's a lot to be taken from that insight in everyday life. There's a tendency to blow out trips to the World. In an effort to give your family the most magical time, you can actually hurt them in the long term. Don't be Ireland. Don't be Iceland. You can have a great time in the World without maxing out your Visa. A relaxing (and free) day at the pool with the kids can be a precious memory you hold with you forever. You don't need to need to blow a car payment at Cinderella's Castle to make the brood happy. Boomerang is an amazing book that makes the very difficult easy to understand. It's a fun and informative read. I'd suggest cracking it open on the plane ride home. What can you get in Disney that gives a lot of enjoyment , for little cost (for attractions cost is mostly waiting in line) and that many guests don't seem to pay a lot of attention to. 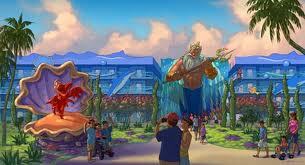 Dutch selected an Epcot attraction "The Grand Fiesta Tour"as one of his most undervalued attractions in the World. Here are a few more, in my mind, which qualify as "hidden gems." 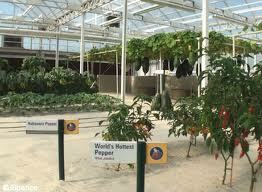 Amongst the hustle and bustle of the Land Pavillion (with the masses running towards Soarin' or eating at Sunshine Seasons) is an attraction that often has no wait and take you on a pleasant boat ride through the inner workings of the pavilion and a working "greenhouse." While some of the audio-animotronic scenes are a bit dated, the show really becomes entertaining when it take you through a working laboratory where all fruits and vegetables are grown in a variety in simulated environments. The show doesn't change much year to year, but is always relaxing and yields something new that catches your eye each time you ride. Several years ago, human tour guides were removed in favor of a recorded audio tour. This may be a disappointment to some, but as the spiel remains consistent for each ride, I can spend some time looking for things I have not seen before. 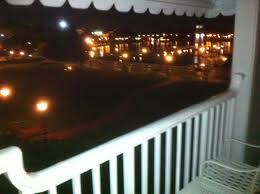 For a special treat, ride at night (during EMH), you may actually get a whole boat to yourself. For me, its sometimes the first attraction of our trip and shouldn't be missed. We have long lamented the fact that Animal Kingdom is a half day park on MMOM's weekly podcast. Adding this show to your normal touring can not only make your trip to AK more worthwhile, but you will also be partaking in a unique and (somewhat) spontaneous show. Flights of Wonder usually runs at the top of every hour, and most of the time you can walk in and find acceptable seating only a few minutes before show time. The seating is in the shade and the light crowds allow you to spread out a bit and relax. Even with its annoying storyline and hammed-up acting by the show's humans, the stunts by the real stars of the show are actually pretty incredible. The show lasts abort 30 minutes and is highlighted by stunts where the birds (including a bald eagle) fly within inches of audience members heads. I find it entertainining because I always assumed the most a bird could do on command is repeat words back to you. These birds can do that and much, much more. It's a nice break from the frantic pace of getting in Animal Kingdom's headliner attractions, and you don't have to worry about getting clipped in the ankles by ECVs like you do on the walking trails. 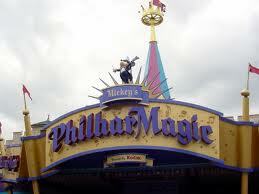 It is hard to say if it is the placement in between Fantasy Land favorites like The Adventures of Winnie the Pooh and Peter Pan, or the fact that it was launched without the typical Disney spin, Philharmagic plays to half empty theatres for most of the day. If you catch it early in the day there will be two dozen people in a theatre designed to hold several hundred guests. Each of the four parks has their own 3D show and given the addition of the ridiculous Captain Eo to Epcot, and the constant problems getting MMOM favorite Muppet Vision fully functional, this is the best 3D show in Disney World. The show takes you on a 3-D trip through some of Disney's most famous melodies all under the guidance of a hapless Donald Duck. Almost every scene provides an interactive/physical element that make the show even better. The scene from Beauty and the Beast's Be Our Guest is particularly fantastic. I personally never leave the show without a big smile and enjoying myself thoroughly, but you would be hard pressed to find people who rank it in their list of "must do" attractions. So what do you think are the most undervalued attractions in the World? Let us know in the comments below or E-mail us at show@mightymenofmouse.com and we will give you a mention in an upcoming episode. You know that we here at MMOM love to rank things. We could probably devote a whole new Podcast dedicated just to AAA’s Diamond Ratings. But AAA isn’t the only game in town when it comes to ranking restaurants and hotels. Perhaps even more eminent* is the Forbes Travel Guide. Established as the Mobil Travel Guide**, they have been giving up to five stars to restaurants and hotels since 1958 (AAA started its Diamond program in 1975). A quick look at the list of annual winners shows that this is a considerably more exclusive ranking—there are only 57 five-star hotels and 25 restaurants in North America. While the Forbes Travel Guide aims to be more exclusive, it is also more enigmatic. Forbes claims to use “500 standards” to evaluate hotels, but they keep those standards more closely guarded. Their explanation of their ratings does appear similar to AAA’s, however. Forbes is also less kind to Disney: none of the Disney World resort hotels appear on the four- or five-star lists. That could lead one to think that Forbes just neglected the World, or family resorts in general. But this is clearly not true, as Victoria and Albert’s is rated (but only as a four-star), and Hersheypark’s Hotel Hershey gets four stars. On the show and our blog last week we discussed what Disney has to do to get the Grand Floridian their fifth AAA Diamond (Answer: they have to upgrade their furniture from “upscale” to “stunning” and call you by name more). Perhaps the better question to what do they need to do to get in the good graces of the folks at Forbes. of them all: the Michelin Guide. **Forbes Media bought the license for the Guide from ExxonMobil in 2009. Modify to: Got a dime? Let the poors wait in line. This week the Big & Tall 3 review the newest feature straight out of Len Testa's magic brain: optimized touring plans. The Team also discusses the latest and greatest in FASTPASS changes.